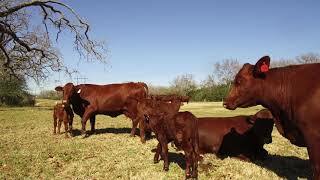 Myers Ranch is a true gentlemens cattle ranch located just 12 miles south of College Station. The ranch is well set up to continue running a high end cattle operation, own a fantastic recreational ranch, or own as an investment for future development. The property boasts a classic ranch home overlooking a 20 acre fishing lake, several more large lakes, over 2 miles of Navasota River frontage and almost a mile of frontage on Hwy. 6 between Navasota and College Station. For additional information please see link below. Take Highway 6 South 12 miles property is on the east side of Highway 6.